Mingling layers of dark cherries, wild berries and raspberries with a bit of plum. Gorgeous, supple and packed with fresh fruit. 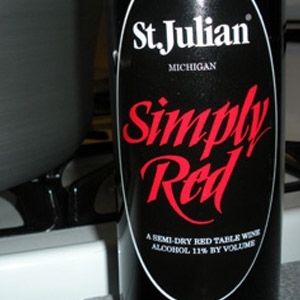 Simply Red is dark-colored and fully textured, with lively aromas and succulent flavors. Medium-bodied, it mingles layers of dark cherries, wild berries, raspberries and a bit of plum. The structured finish has great length as well as vibrant acidity. A delicious, food friendly wine!